- Skype Bots - a new way to bring expertise, products, services and entertainment into daily messaging on Skype. - To get started on Mac, tap on the “Contacts” from the menu and select “Add Bot….” to search for or view a list of available Bots. - If you’re using Skype for Web, select “Discover Bots” on the left toolbar to see a list of available Bots. - Added never before seen Bollywood Mojis to make your Skype chats even more fun, exciting, and dramatic. - Yash Raj Films and Eros International bring you the latest and greatest content from movies such as Dilwale Dulhania Le Jayenge, RA one, Dhoom 2 & 3, Tanu Weds Manu Returns, Devdas, and many more. - In addition to Bollywood Mojis, we’ve created a series of new Skype emoticons highlighting some of the food, gestures, holidays and daily expressions honoring the Indian culture Bollywood stems from. - Best part? Both Bollywood Mojis and emoticons will be available worldwide, in the featured tab of the emoticon picker. - Updated and smarter web link preview experience. Now when you share a link and want to add some words for additional context, you can simply send everything in one message. If an image related to the link was found, a rich visual preview of the web page will be automatically displayed, so your contacts can see a preview of the shared web page with the message. - Fixed an issue where chat texts are blurred when the conversation was dragged between displays. - Redesigned the chat input field to give you quicker access to some well-loved features. Now it only takes one click to start sending photos, files, contacts and video messages. - We have also added the ability to paste or drag images directly into the input field, for those moments when context is everything. - Don’t forget that taking screenshots on OS X is quick with Command (⌘)-Shift-Control-4. Just press those keys at the same time, select your image and then paste into the input field. 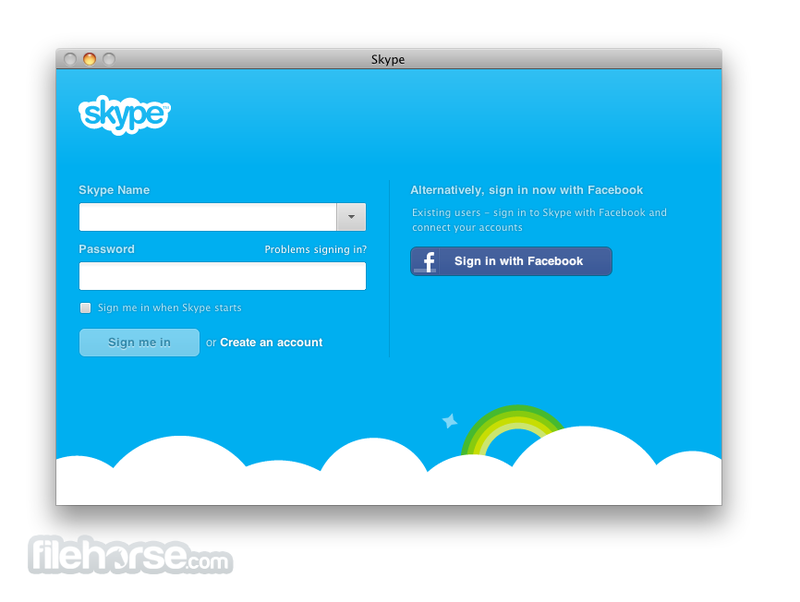 - Revamped the chat experience in Skype. 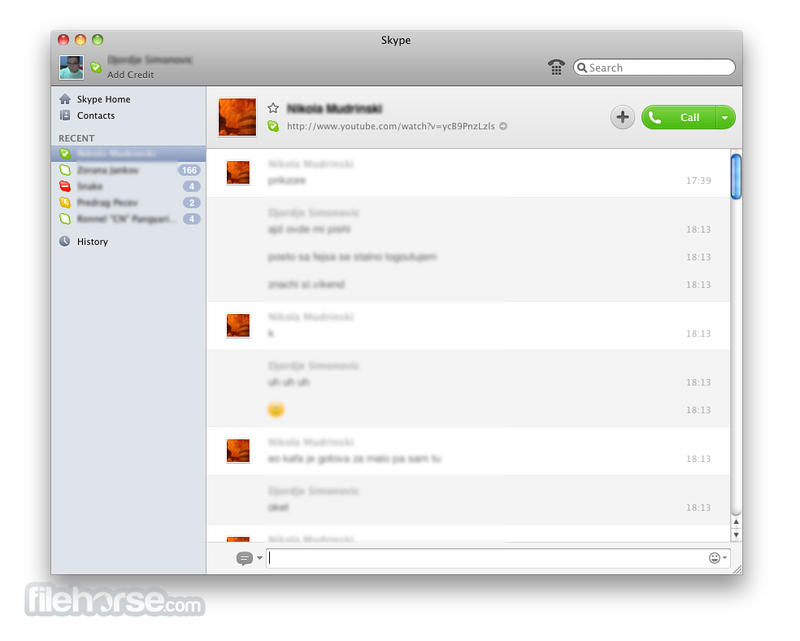 - Significant improvement to keep your chats synced across multiple devices. - Refreshed how your chat looks- introducing bubble-style chat, inline photos and starting to display file icons on desktop so you can easily scan through and find different files in your chat history. 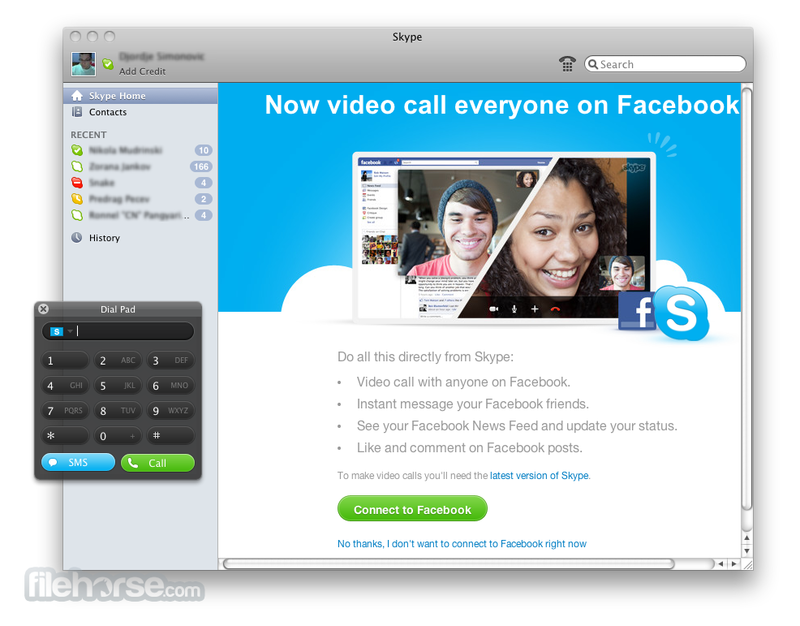 - Rolled out web link previews, which makes sharing web pages in Skype an easier and richer experience. - With web link previews, you no longer need to type the: “check out this funny cat video” alongside the actual link to the cat video. When you send the link in chat, a rich visual preview of the web page is automatically displayed, making it much easier to see what’s been shared. Finding a link in your chat history also becomes quicker, saving precious time to let you focus on the conversation. - In the current implementation, we only show a preview if a web link is the only thing you send in a message. We also put extra focus on optimizing for video and image content, so we encourage you to try links to video, image or even gifs first. But we’re definitely not stopping here, so expect more improvements to come. Web link previews will be gradually rolled out on Mac, and then to other platforms in the coming months. - Support of 14 new languages, including Hindi, Turkish, Czech, Ukrainian, Greek, Hungarian, Romanian, Indonesian, Catalan, Croatian, Slovak, Vietnamese, Thai and Malay. - Some users reported problems with crashes while sending and receiving files. We’ve fixed this issue. - We fixed an issue where the client would crash upon waking from sleep. - We fixed missing search results when searching for your messages on older Mac desktop machines. - Improvement: Added Voice Over support to select recent searches from Add Contacts search field. This improves our screen reader support for visually impaired users. - Occasionally, some users experienced crashes on launch, and others on quit. Thanks to some valuable assistance from users in the Community Forums, we’ve been able to identify the cause of these crashes. This release contains fixes for both of them. 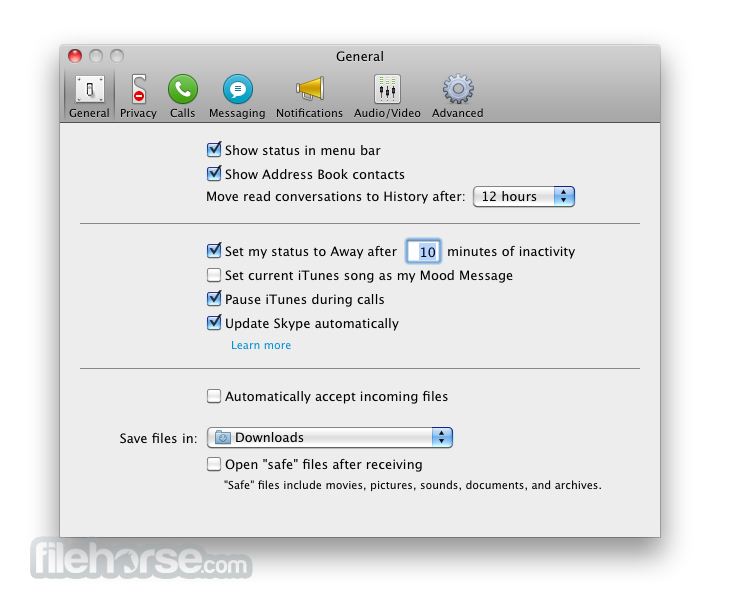 - Sometimes you don’t want to be notified of every message in a long-lived conversation, and that’s why Skype for Mac has allowed you to set notifications per-conversation for many years. However, recently users on the Forums reported that these settings weren’t sticking. We’re happy to let you know this is no longer the case -- this bug is fixed, and you can again use "Notification Settings…" from the "Conversations" menu to set notification keywords, etc. - In the release of Skype for Mac version 6.14, we highlighted two known issues: animated emoticons using too much CPU, and some users experiencing crashes when screen sharing on MacBook Pros. In 6.15 we have fixed the animated emoticons issue, and MacBook Pros users should update to Mac OS X 10.9.2 to prevent crashes when screen sharing. - Some changes to refine the UI and to improve compatibility with OS X Mavericks. - Did you know that you can turn off all notifications, such as new message sounds, by setting your status to Do Not Disturb? This feature has been in Skype for years, but sometimes it can be easy to forget that you’re in this mode so we’ve added a warning to the Notifications preference pane to remind you why you aren’t getting notifications in this state. - You’ve always been able to adjust the size of text in the conversation pane, but text you typed into a conversation would remain the same. We’ve amended this so that now the two text sizes will be updated at the same time. Just choose "Make Text Bigger" from the View menu. - We’ve also fixed a number of reported bugs, including sound output from Skype to Bluetooth headphones and speakers caused by a change in the way that OS X reported available devices, and mach port leak on Mavericks which could lead to slowness and, in some cases, kernel panics.